How often do you think of caring for your knees? We often overlook the fact that we only have one pair of knees and in the event of an injury, you can lose your ability to walk or engage in activities we love at the snap of the finger. Therefore, if you take part in an activity that puts a strain on your kneecap and the joint or if you are into sports that expose your knees to danger, get pro knee pads. Which are the benefits of wearing knee pads? Why should you love a knee pad? These all-black pro knee pads by K-P Industries are unlike any other in the market as they offer the highest levels of comfort and practical support preventing accidents. The knee pads have a hard plastic outer shell which serves as the first line of defense for your knee. The shell is sturdy, but it doesn’t limit movement thanks to the incorporated hinges and the 1/2-inch closed cell foam that is the inner pad. This pad enhances comfort and protection. ​It is comfortable – thanks to the ½ inch closed cell foam pads on the lower parts of the shell. You can run in them. Besides the hinges which allow for natural movement, these K-P Industries Knee Pro Ultra Flex III Knee pads come with straps that will keep your foot in place. These straps are elastic, and they will not break or malfunction like Velcro. How about wearing and taking the knee pads on and off – will I have to sit for several minutes fixing it? No. K-P Industries incorporated a Non-Marking Grip-Strip on the knee pad’s surface as well as speed clips that which snap in place fast. These grip strips and the speed clips are abrasion-resistant – you will get tired waiting for these braces to wear off. Oh, and if you think that it is too heavy – we’d like to reassure you that it isn’t. Its weight stands at 1 pound (16 ounces). They are non-slip too. It will not slip off since it has strong but subtle elastic straps. There is a non-slip pad on the outside too. They offer superior protection with the hard plastic shell and the inner padding. ​It is available in one size. These kneepads are the real definition of aesthetically functional knee pads, thanks to their unique construction design. The knee pads feature a revolutionary lock-in replacement system for its cap which offers a high level of protection to your knees. If you are going out or taking part in an activity that needs high levels of protection, say rock climbing, then these are the best knee pads. Professional skaters can use these knee pads as well. The high level of comfort and protection comes from the heavy three-panel construction of the pads with a printed bottom panel. For absorption of pressure upon high-impact, the knee pads offer dual density interior foam. The foam and the replaceable cap make sure that your knee is safe and comfortable. Even with these features, the knee pads are lightweight and feature a Dry-Fast interior lining. For higher levels of durability, 187 incorporated double stitching as well as industrial-weigh top stitching. Will the pads slip? Thanks to the use of a seamless hinge and a supportive interior finish, the pads stay on for as long as you have them on. You can get these knee pads on and off easily because of the open-back design. This design and the availability of small, medium, large and XL sizes result in the knee pads’ excellent fit. The knee caps have replacements which you can purchase separately. For higher levels of comfort from knee pad, you need to get this knee guard by Fox. Its main chassis had perforated neoprene for comfort. Perforation makes this Fox Racing Launch Pro MTB Knee Guard breathable by wicking away moisture. Comfort is the heart of racing, and this knee guard’s curved ergonomic design that fits perfectly makes it possible for you to pedal with ease while being able to maintain balance without that awkward feeling of an unnatural knee pad. It contours onto your knee perfectly. The elastic strapping at the top and the bottom prevents slipping, and you will not have to think of adjusting it every few minutes. The Silicone gripper behind the knee helps in maintaining these pro knee pads in place. The guards are lightweight – measure 1.1 pounds and available in different sizes. It is comfortable, and you will forget about it in a few minutes into your ride. They knee pads offers excellent protection in case of a fall. Ideal for persons with slender calves. ​The sizing is slightly off, and users with larger calves may have problems wearing them. 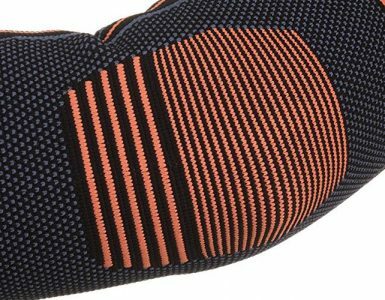 If you are looking for double protection from your elbow and knee joints, then you should get these functional McDavid 645 Compression Knee/ Elbow Sleeve with Pad. This padded compression knee or elbow sleeve is durable. It offers high levels of protection through the use of a low-profile design which is ideal for body-to-body ground court diving and resultant impact. Whether it’s taking an impact or still on your knee or elbow, you’ll experience a high level of comfort thanks to the breathable elastic sleeve that has ½-inch closed-cell foam padding. Your order will come as one pair fitting the right or the left elbow or knee. It weighs a mere pound making it light on your elbow and knee. The material used in construction is stretchable and fits snug. This is the kind of knee and elbow padding you get for cycling or skating because you need a high level of protection from high-impact that can have debilitating effects. This Pro-Tec set consists of 2 knee pads and two elbow pads fitting all small-sized adults. The knee pad strap will fit a thigh that measures 12-14 inches and 9-11 inches around the shin. 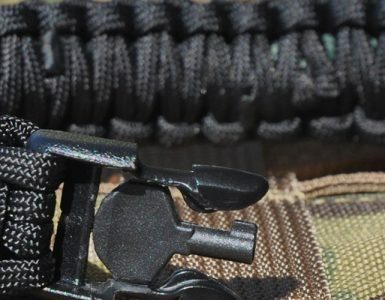 The elbow straps measure 9.5-11 inches and 8.5-10 inches at the top and the bottom sides respectively. The knee and the elbow set have full-coverage ABS hard caps which have soft EVA cup foam inside to absorb the pressure from the high-impact. These padded caps will shrug off big slams. The pads will not tear easily under such immense pressure thanks to the durable lycra and the ballistic nylon fabrics which are robust and flexible. Knee pads are apparels specifically designed to offer support and protection to the knees. They guard your knees if you suffer a blow or walloped the ground when cycling, racing, playing football, or when skating. Prevention is better than cure, and knee pads are your first line of safety when exposing your body to possible risks. Pro knee pads absorb the stress and the pressure that would otherwise be felt by your knees directly. As mentioned above, the main reason is for prevention of injuries. The other reasons include prevention of excess strain on the knee when working – construction workers and gardeners spend some time on their knees and to prevent that pressure that could cause damage, knee pads are essential. Some medical conditions call for the use of knee pads for pain management. Since the knee pads and even sleeve have compression effects, they alleviate pain. These conditions include arthritis, cartilage tear, ligament injuries, Baker’s cyst, Patellar tendonitis, chondromalacia patellae, kneecap dislocation, bursitis, osteochondritis, gout, plica syndrome, and Osgood-Schlatter disease. The beauty of buying a knee pad is that they come in different designs and colors. This means that you get to pick one that represents your personality and style – as long as the knee pad has all the amenities necessary for it to work. 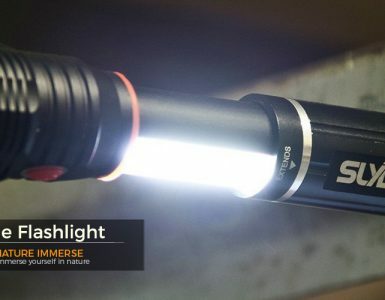 If you have been gearing up for a mountain ride or cycling through a rough terrain or even a skating rink, then you know that besides the thrill of taking part in the activity, there is a fear that you’ll get hurt. However, this isn’t the case when you have pro knee pads and even elbow pads. Just having the protective apparel makes you comfortable even if you won’t let fear show before your friends. If you have ever been in an accident that caused minor knee injuries, then you can only imagine how worse things would have been without the knee pad. By looking the dent on the knee pad protective shell, you can tell that the knee pads saved your feet and well, why wouldn’t you love that pair of knee pads as well as elbow braces? Most of us have been in accidents that resulted from the lack of or the use of poor quality knee pads. Tell you what got us out through then pain, knee pads, and knee sleeves. Their compression and breathability increase blood flow to the knees reducing pain. Knowing that you are safe increases your participation because, well, you are at peace and ease. You could be thinking ‘to love the knee pads this much, there must have been features present in the knee pads making them that useful.’ Well, you are right. You cannot buy any knee pad randomly and expect such benefits. Below should be considered when buying your best pro knee pad. These are ideal for sliding and swiveling. They are also perfect for skating and racing or cycling. Ensure that they have an inner lining with shock absorbing features. These knee pads also offer the highest level of protection. These knee pads allow motion in different directions and provide a good grip when taking part in flooring activities. They are also ideal for activities that need you to remain stationary. Pro tip: The type of knee pad depends on the intended use. Pro knee pads for snowboarding, skiing, skateboarding, or Motocross have to be durable and comfortable because of the high risk these sports pose. Knee pads for gymnastics, dancing, and acrobatics need to be durable and have flexible cushioning. You will go through various pro knee pad reviews, and you may even buy some pads in the wrong size but, the right knee pad always fits right in, naturally. Here is our first expert tip: You know that you have the right knee pads when you wear them for the first time and they feel that the designer had you in mind during the construction process. Whether you take the hard-core knee pad of the knee sleeve; a right knee pad doesn’t require a break in time. The padding is that makes up a knee pad – the name says it all. The reason for this is the fact that the padding or cushioning determines the protection offered to the kneecap or elbows when using elbow braces. The main materials that make up the interior part of pro knee pads include gel, neoprene foam, polyethylene foam, EVA (ethyl vinyl acetate) foam, polyvinyl chloride foam, nylon foam, polyurethane foam, extruded polystyrene foam, plastic, rubber, and carbon fiber. The inner shell has to be elastic and soft. For the exterior surface, you will come across two main types of padding – cap-type or the shell. For the outer padding, you will come across materials such as rubber, ABS plastic, gel or carbon fiber. You will also find bubble-type cushioning and honeycomb pads which are practical for use in high-exposure areas. Pro tip: Ensure that the internal and the outer material is comfortable and sturdy. The best knee pads are the ones that fit snugly and can be adjusted or re-adjusted depending on how you like it to fit. For adjustment purposes, the market has knee pads with adjustable straps, fasteners, buckles, and Velcro. However, despite the availability of all these styles, we believe that pro knee pads must have adjustable straps at the top and the lower part of the knee pad. This positioning helps in keeping the pad in place. It is also easy to put on and remove knee as well as elbow pads with adjustable straps. Velcro strapping is low on our list because it malfunctions after a few uses. At the same time, it comes off when worn and you have to keep checking to ensure that it stays in place. If buying knee pad sleeves, you will notice that most of the sleeves lack straps, but they have anti-slip construction designs. Expert tip: the adjustable straps should be elastic and not plastic. To keep the pad in place, take advantage of the lower strap and tie it snug. This lower strap is the one responsible for holding the pad. The upper straps do not have to be very tight. Durability and strength determine how long the knee pads last after use and after they are beaten down. The best knee straps offer excellent support and protection even after you clean then multiple times. Pro tip: the most durable knee pads have sturdy strapping and not buckles, fasteners, or Velcro. Whether you get hard-cap, soft-cap, or flat curve cap knee pads, the pads should be comfortable. The comfort comes from the inner lining and cushioning. The inner lining must be breathable to keep you cool and dry through the long sporting stretches. At the same time, the straps and the outer shell should not dig into your skin. Besides protection, we know that the knee pad sleeves are great for pain reduction. This means that the pads should exert too much pressure. It also means that you should get the right size for the ideal level of compression. Pro tip: avoid materials that cause irritation either because you have sensitive skin or because the sleeve is too tight. Keep in mind the breathability and the intended use as well. Times are hard, and you cannot buy a knee pad for every activity you wish to take part in. We advise you to buy pro knee pads which you can use for more than one use. Pads suited for work and play are preferable. If getting a knee pad for medical reasons, we recommend that you get a knee sleeve because it offers adequate compression. Pro Tip: if you are unsure of the possible alternate use of a knee pad, look at user reviews from the site you are buying from, say Amazon, to know of other uses of the knee pads. Set a budget and buy a knee pad you can afford. Most kneepads range from $10 to $60, but you should always stick to your budget. However, this doesn’t mean that you should compromise on quality. Use the features of the knee pad to determine if it worth the price. Some knee pads come in sets of both elbow and knee pads. These packs are relatively cheap compared to buying individual pairs. Expert advice: there is no correlation between the price and the quality. Some expensive knee pads lack in functionality and some affordable options offer exceptional service. And, there you have it – all the factors that we consider and which you also should in determining the best pro knee pads. All these features lead to higher performance. The best pro knee pads have excellent features that offer superior protection, support, and pain relief. The material used in construction determines the comfort in relation to contouring, breathability, heat retention, and fit. If you order a knee pad that offers comfort on these levels, then you will be safe if you are into sporting or in construction. If getting a pair for your children, you will have peace of mind knowing that their knees and elbows have trustworthy protection. If trying to manage arthritic pain, a good knee pad sleeve will offer the right amount of compression for pain relief. The padding prevents secondary injuries. For total protection, you will need protective gear for the head, fingers, and feet. You or your loved one must don protection gear from head to toes especially when taking part in risky activities. That said, here is the pro knee pad we highly recommend – the K-P Industries Pro Ultra Flex III Knee Pads because of its high performance. It is perfect for the rough and risky rides thanks to the hard plastic outer shell that offers excellent protection if you take a blow. The non-marking grip-strip and the speed clips make it easy to wear and remove these pro knee pads. For comfort, it has a ½ inch closed cell inner foam pad. It won’t slip off thanks to the soft elastic woven straps with sewn ends for reinforcement. The hinges make it easy to move naturally in them. These Pro knee pads are our winners. What exactly are the number one pads for, well not exactly, but are they for like skateboarding,BMX, MNT Biking,kinda stuff or like paintball, warfare kinda things? And they kinda look horrible, in my opinion.